“Mayerling” isn’t the sort of piece one eagerly watches again and again – for at the root of the catastrophe of the piece is a tragedy that is too sad and a society that is too disgusting to witness repeatedly. The story is based on a dark chapter of the reign of Emperor Franz Joseph I of Austria. The Emperor’s third child with Elisabeth (“Sisi”), Duchess of the house of Wittelsbach, was Crown Prince Rudolf, who at the age of twenty-three, was forced into a marriage with Princess Stéphanie of Belgium. The ballet begins with the couple’s wedding ball and ends with the double suicide of Rudolf and his mistress, Mary Vetsera, at the royal hunting lodge at Mayerling. MacMillan condensed the eight years in between into an oppressive social and psychological study. Rudolf was unstable, having grown up in an emotionally cold climate and subjected to an education that, by today’s standards, would be considered traumatic. He was highly sensitive, toyed with the idea of dying and was obsessed with sexuality, as if it were a drug. He had contracted a venereal disease from his numerous affairs, and routinely abused morphine and alcohol. His critical attitude towards his father’s conservative policies meant that he was easily manipulated by opposition groups, which used him to further their political agendas. Rudolf is described as deprived, violent, and eccentric, even though the core of his foulness came from the rotten society in which he had been raised. Both his parents had affairs, but those affairs were either tolerated or pursued in secret. Drug-taking was common at court (though that isn’t addressed in the ballet), as was surveillance. People tried gaining personal advantages, so long as they kept within etiquette; lying and shamming were part of the daily routine. Polunin depicted Rudolf as a misfit from the very start of the piece. His Crown Prince felt uncomfortable both, in the royal company and in the company of his new wife (Anastasia Limenko). Given the chance, he presumably would have preferred to leave the party. Behind overcast eyes, Rudolf appeared brooding, but except for a poignant plea towards his mother (Natalia Krapivina), he hardly allowed his emotions to surface. His movements became more animated when he began to flirt with his wife’s sister, Princess Louise (Valeria Mukhanova), and, later, with Countess Larisch (Anastasia Pershenkova) but it seemed that women often were only means to distract. Like an addict aware that his next hit wouldn’t assuage his desire, Rudolf wasn’t particularly interested in every conquest. At times, it seemed as if the women bored him – or that he was bored by life in general. He was aware that he was ruining himself. Though initially reluctant, Rudolf didn’t withstand the relentless pressure of the four Hungarian separatists (Denis Dmitriev, Alexey Lyrubimov, Sergei Manuylov, Dmitry Petrov), who finally won him over to conspiracy. He made no secret of disrespecting his father. Polunin’s Rudolf was a vulnerable man who covered his weakness by arrogance and by trying to dominate women. But Larisch, a sly manipulator, was more seasoned than he. She pulled several strings, keenly keeping her longstanding affair with Rudolf on the boil while also introducing him to fresh blood. She didn’t give a jot about his wife’s feelings. Was she truly concerned about Rudolf’s drug-taking, his declining health, his shattered mind? Was there even a spark of empathy for him? Pretty Mitzi Caspar (Oxana Kardash), another of Rudolf’s mistresses, wasn’t easy to see through at first glance. She was a high-class prostitute, so she knew how to strike a balance between stirring Rudolf’s jealousy and making him feel that he was her only true lover. One might even deem her a faithful soul. Yet after the police raided the tavern, where the couple had amused themselves, she betrayed Rudolf to a member of the court by simply shrugging her shoulder towards the corner where he had hidden himself. Kardesh made this single gesture a revelation: Caspar didn’t give a damn about Rudolf. Upsetting, too, was the Queen’s attitude towards her son. Their encounter shortly before Rudolf was expected in his bride’s chamber was one of the hardest scenes to watch. It summed up all that had gone wrong during Rudolf’s upbringing. He stood there as if a vulnerable young boy again, begging for his mother’s love and for his emotions to be recognized. Again, he was refused. All of a sudden, the seething mix of desperation, long-held rage and psychic harm inside him erupted, until Rudolf swallowed and forced countenance upon himself. What had happened to Elisabeth that she pushed away her son as if his outburst of emotions was so abhorrent? For a moment, she even seemed appalled about her aversion. Rudolf couldn’t vent to his mother, but he could vent to his wife. Stéphanie’s hope for a bearable marriage burst like a bubble the moment that Rudolf threatened her with a revolver. He grabbed her and immediately shoved her away in disgust; the next second he broke down, stricken by desperation, and again pulled her brutally around. Limenko powerfully conveyed Stéphanie’s horror, trembling from panic while at once ready to do everything she could to calm Rudolf. It was pointless to leave, anyway. The program booklet describes the end of the scene euphemistically as “making love” and from then on, Stéphanie was either desperately unhappy or nauseated by Rudolf’s blatant affairs. The role of Mary Vetsera, the teenage mistress who died together with Rudolf, was charged with unanticipated drama on opening night. 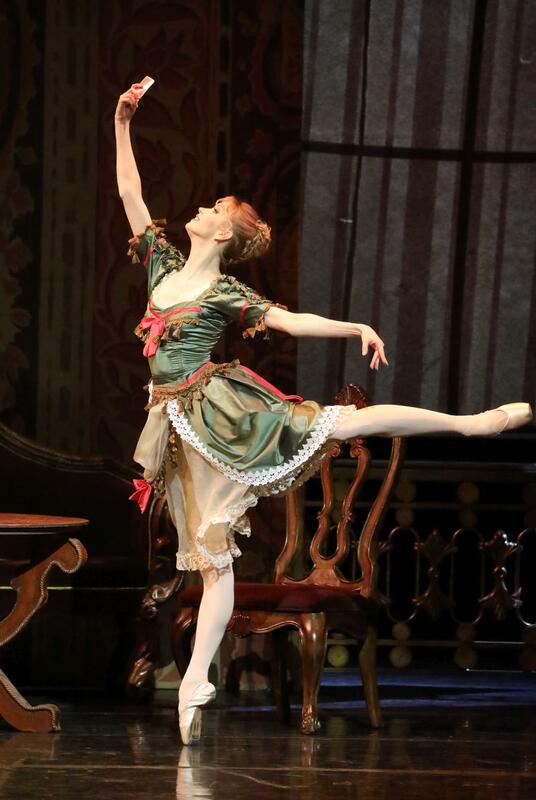 Natalia Somova danced the role in the first act, in which Countess Larisch assures Vetsera that her dreams of a romance with Rudolf will come true. This prompts Vetsera to perform a joyful solo, although Somova danced it with surprisingly subdued energy. Soon after, in the first act’s final scene, Rudolf and Vetsera meet for the first time. But instead of Somova, Ksenia Shetsova appeared as Vetsera in Rudolf’s apartment. What had happened? Somova had injured herself in the preceding scene and Shetsova, who had danced the role previously in Moscow, jumped in. She had only had about fifteen minutes to get into her costume and make-up, and I doubt that she had warmed herself up. I don’t know whether Polunin knew what had happened, but I watched as he sat onstage and faced another ballerina entering the stage. The pair had to dance an intense love pas de deux, which is no technical cakewalk. What I didn’t know at that point was that both had never danced together, let alone rehearsed this piece together in advance. MacMillan invented taxing pas de deux for Rudolf and Vetsera. In particular, the final pas de deux, shortly before the double suicide, is tricky and studded with hazardous lifts. What else was left for Shetsova and Polunin than to trust on each other and let their professionalism kick in? 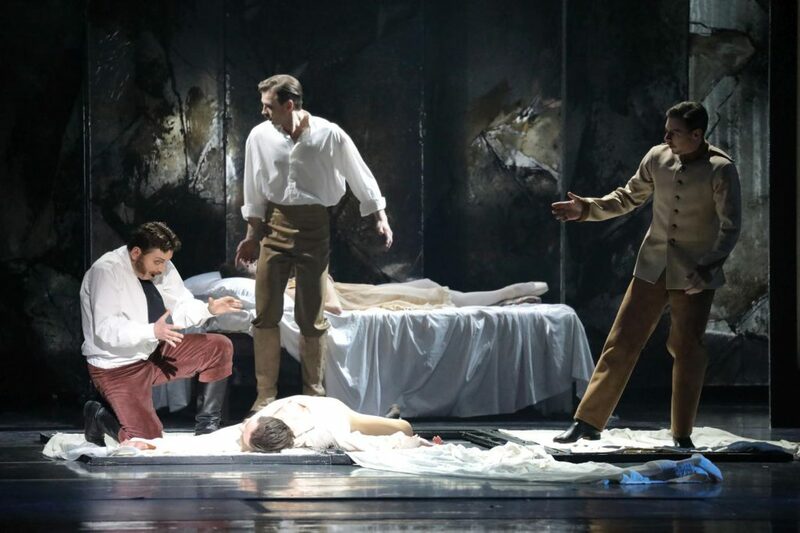 On closer look, one noticed that the duo sometimes compensated with force in moments that would have been more fluid if they had had a well-attuned stage partnership, but that rather intensified the drama Vetsera and Rudolf were fighting through. And dramatic it was, terribly dramatic! 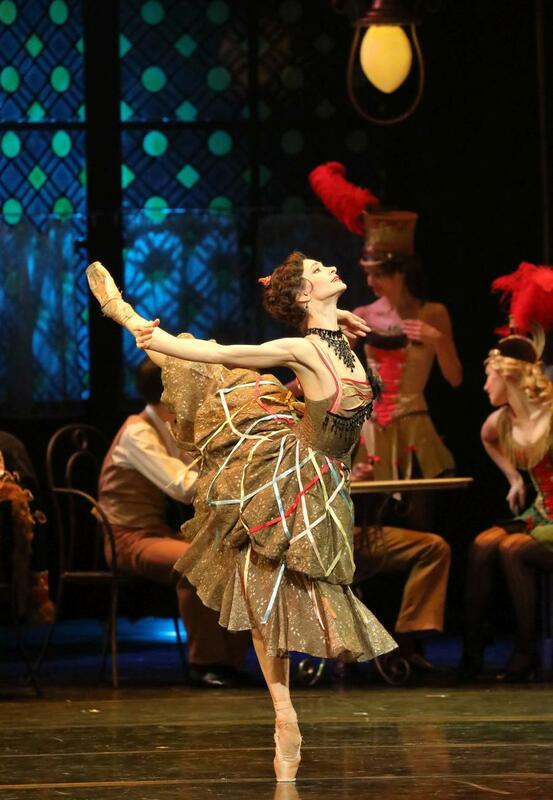 A bow to Shetsova’s courage to step into the role and to Polunin’s safe partnering. He was one-hundred percent attentive to his partners, having already elegantly prevented Pershenkova from slipping to the ground in the first act. Despite wild applause, Shetsova took her curtain calls with sloping shoulders and a saddened facial expression, apparently thinking she hadn’t danced well enough. In fact, she had saved the evening. 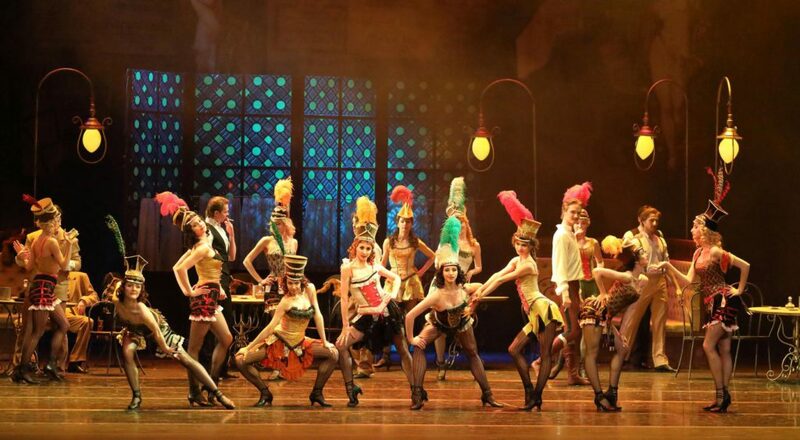 She also performed the following evening, and reportedly the troupe received a standing ovation then too. The supporting roles were danced by Ivan Mikhalev as Bay Middleton, Elisabeth’s slick lover and Saryal Afanasev as Bratfisch, Rudolf’s devoted cab driver. Heike Grötzinger played the singer Katharina Schratt, the Emperor’s close friend. In portraying the court society, the corps conducted itself aptly aristocratically; the prostitutes in the tavern needed to be saucier. Set and costumes were copies of Nicholas Georgiadis’s originals, but I wondered about the loud colors of Elisabeth’s dressing gown and Countess Larisch’s dress during their clash in Rudolf’s apartment. Bright pink versus red? “Mayerling” has music by Franz Liszt, orchestrated and arranged by John Lanchbery. Anton Grishanin and the Bavarian State Orchestra provided a sensible rendition of the dark, fraught and decadent sonic world.